Aer is an asthma management system that consists of two inhalers, an environment sensing base, an emergency inhaler and a companion app. Overall the products aims to achieve the goal of helping people manage their asthma better, in a convenient, discreet and aesthetic way leading to healthier individuals due to better management in addition to understanding of their condition. Which in turn would lead to a huge reduction in asthma related costs for society due to fewer hospital visits, medical professional time and missed work days. People just don’t take their asthma inhalers, this poor level of adherence results in unhealthy individuals from not taking their medication properly and a huge cost burden to society; in excess emergency hospital fees to missed days of work and school. The costs are huge, and many problems stem from user related issues – many of which Aer looks to solve with the components in its system. 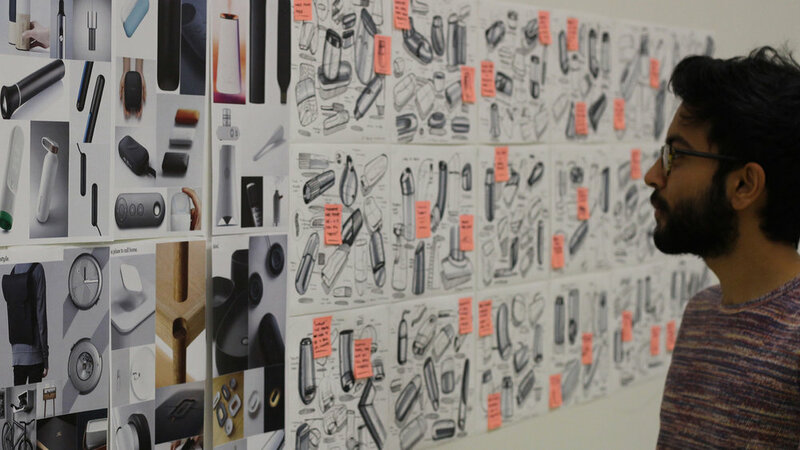 Desk based research, many interviews and a brainstorming process helped explore solutions. 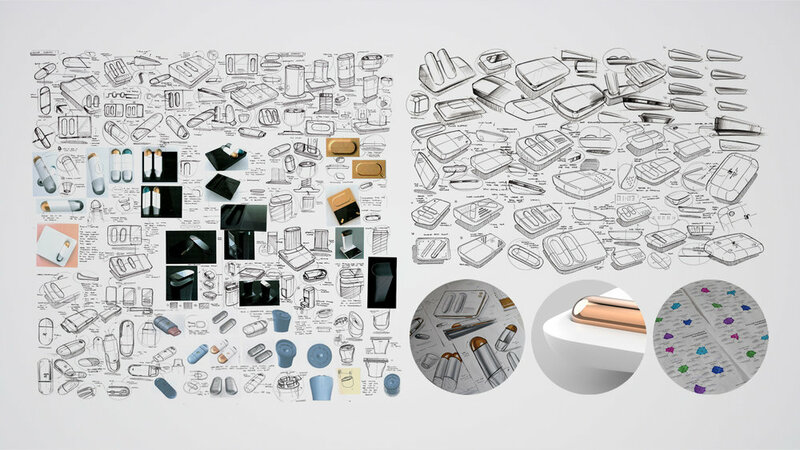 Initial quick sketches were used to explore a variety of forms, features and embodiments of the product, where five key directions were grouped and further explored using more refined pencil sketches until concepts began taking shape. With the concepts becoming clearer, high quality visuals combined with foam and card models were made and evaluated. After the selection process, further iterative development with a mix of sketching, modelling and CAD were undertaken to get closer to the final design. An electronics prototype of the base design was created, consisting of air quality, particle and humidity sensors being used to sense the environment around the device, and relay that information to users through the number of lights illuminated by the 5 LED arrays. This was a fully portable and functional prototype run with Arduino to prove that the base design would work. Further prototypes were 3D printed, from mechanically function Inhaler prototypes that could hold the canisters, twist the mouthpiece, hold and remove the caps and actuate the inhalers to simulate the mechanical use of the inhalers. Additionally a full aesthetic prototype of the proposed design was also created. 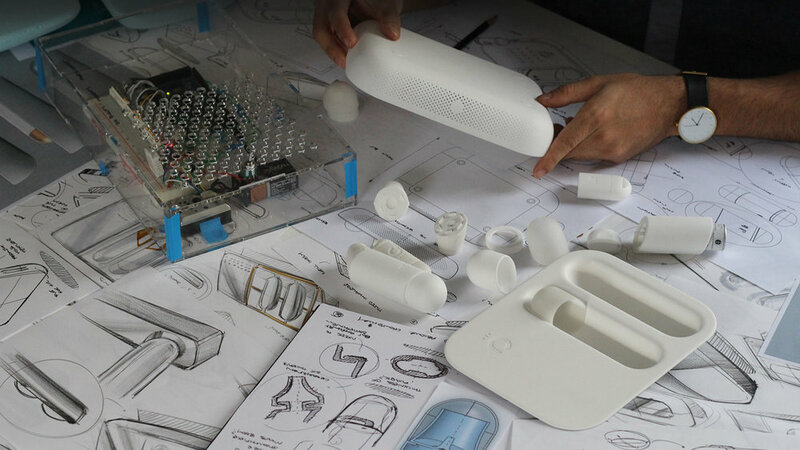 The inhaler design is sleeker and more aesthetically pleasing and the inhalers all contain Bluetooth connectivity to an app which monitors use - looking to encourage use through multiple avenues. 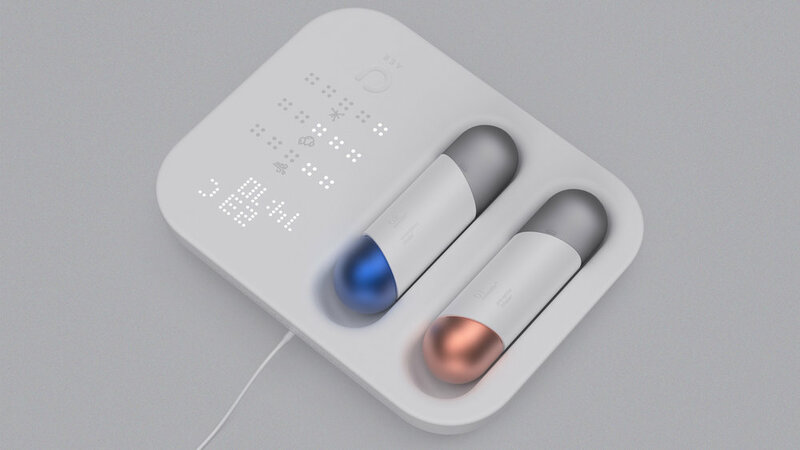 Alongside, a much smaller emergency inhaler that can fit on a user’s key ring ensuring they always carry around their medication with fewer stigmas attached than a conventional inhaler. 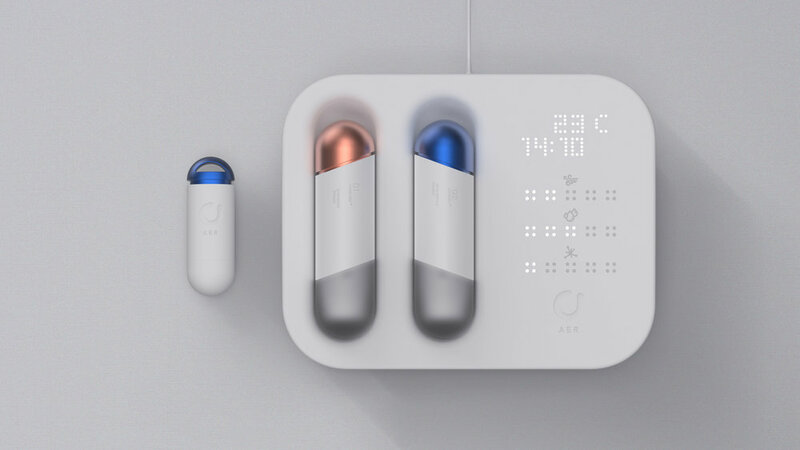 The system looks to encourage routine use through creating a beautiful, de-stigmatizing device that encourages keeping inhalers out, combined with the ability to sense the environment around the user giving them forewarning of asthma triggers. 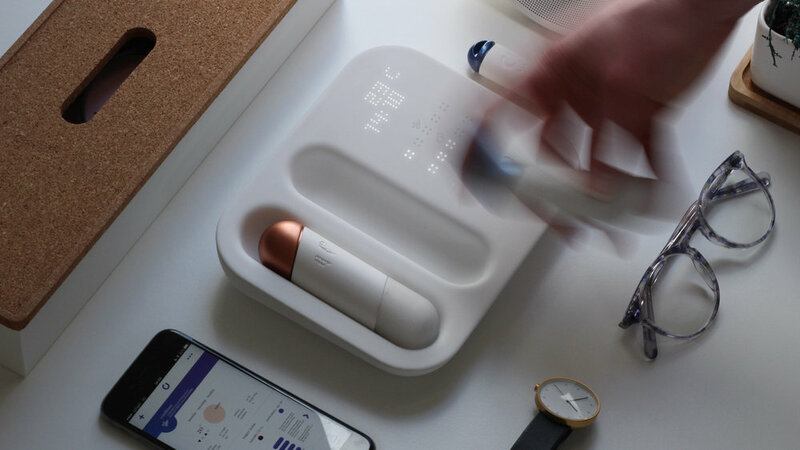 The base senses the air quality, humidity and level of particulates in the environment it is in, refreshing the air that enters through the sensors using the centrifugal fan whilst also displaying the time and housing the inhalers. The output of these sensors is displayed on a scale using an LED array of lights. The emergency inhaler is an extremely small, discreet and portable Inhaler that would have 20 doses of reliever medication to be used in an emergency. The inhaler is inexcusably portable and should always be with the user – in the case of emergency. The Bluetooth connectivity allows tracking of where, when and how well it has been used while also using existing medication containers. The inhalers mimic the learned use from current inhalers applying the same affordances reducing the risk of user error. Evaluations were undertaken with medical professionals, asthma researchers and many users. The exploded view showcases a proposal for a manufacture able design with the process of injection moulding with ABS parts. 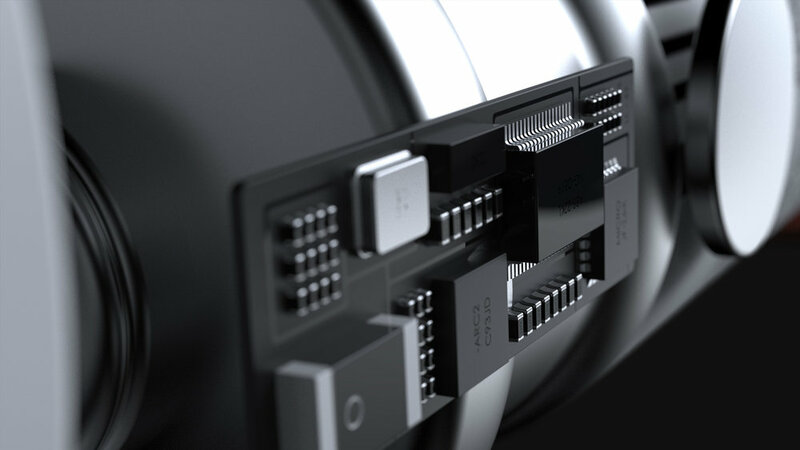 Heavy detail was undertaken with the internals, to ensure a realistic proposal, with every component modelled personally. 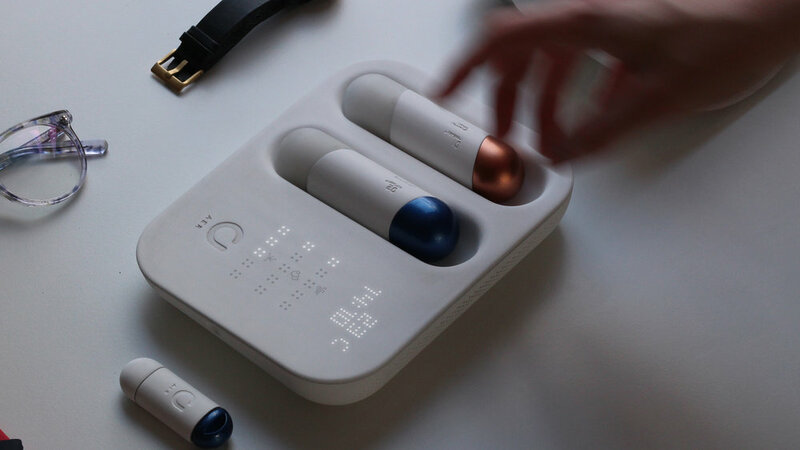 Packaging was created to ensure that the unboxing experience felt less medical to distance the device from stigma. Instructions were created highlighting how to use the product. 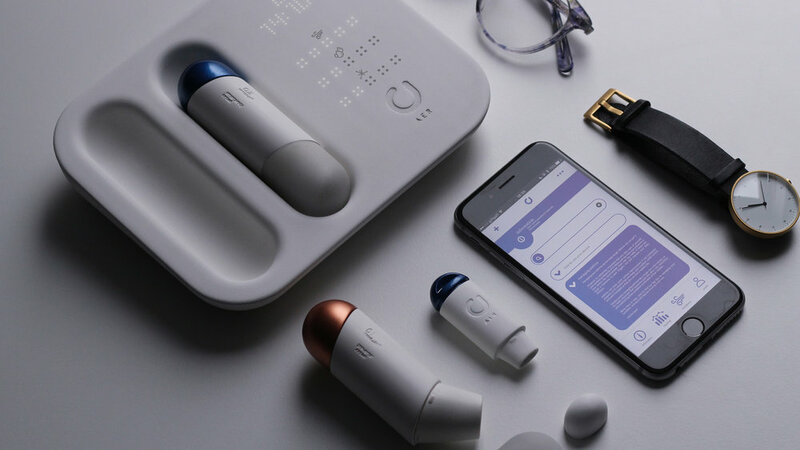 The app looks to inform the user how to use the product, track their inhaler usage with the connectivity to the inhaler, assess and feedback environmental factors, reminders for the user and provide contact details in the case of an emergency. A final product video to summarise the project outcome.